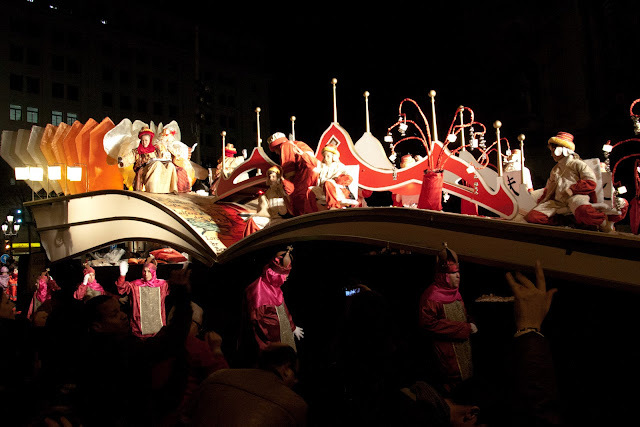 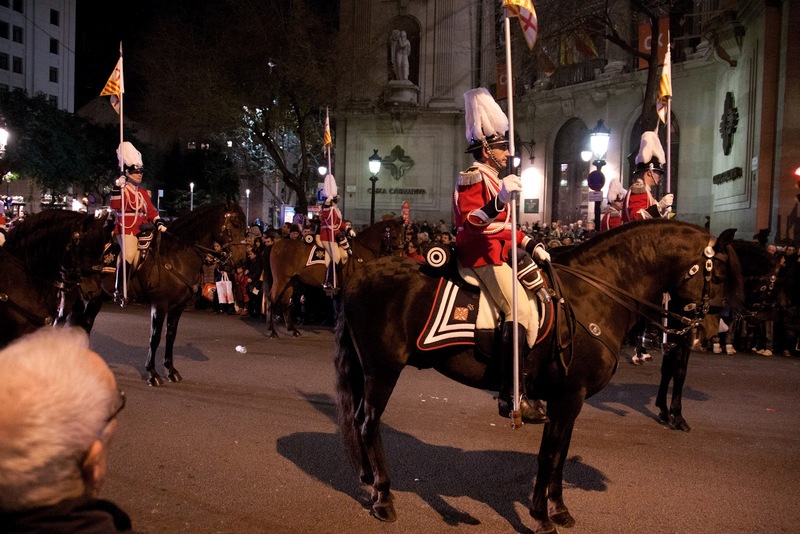 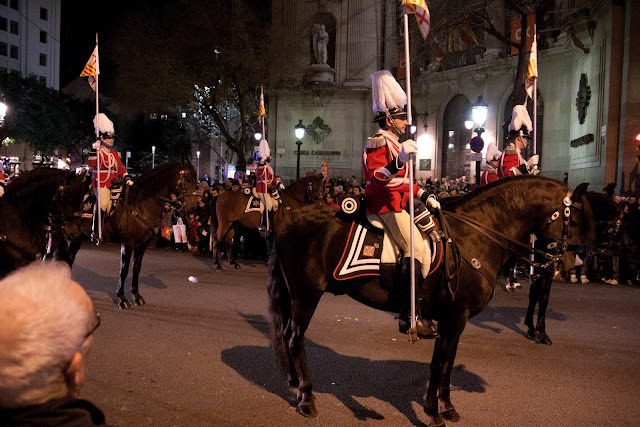 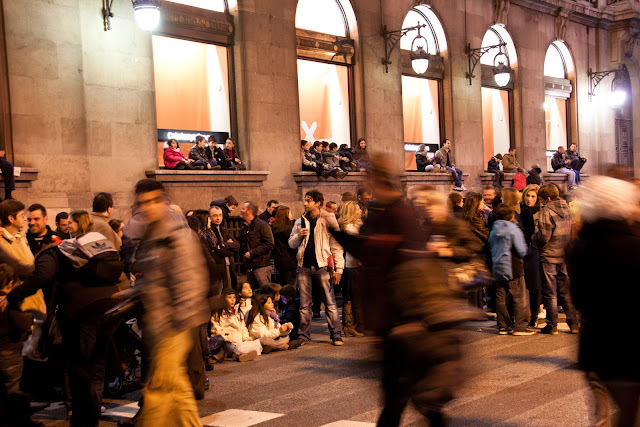 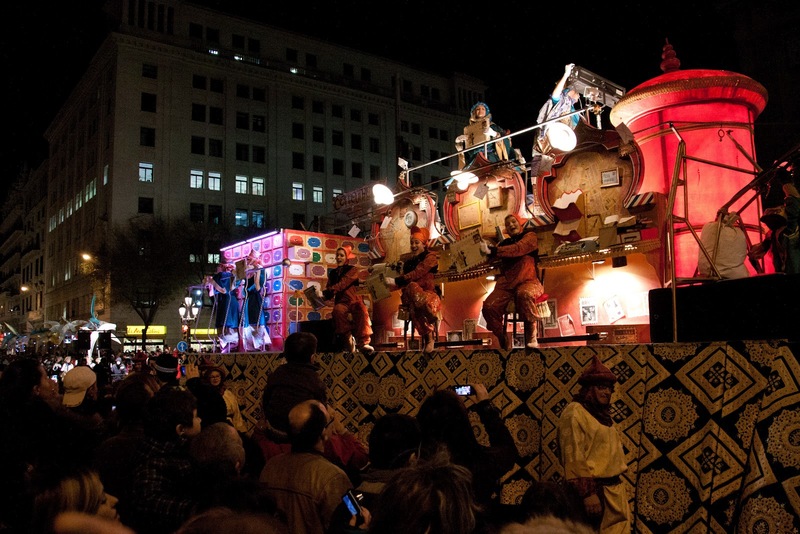 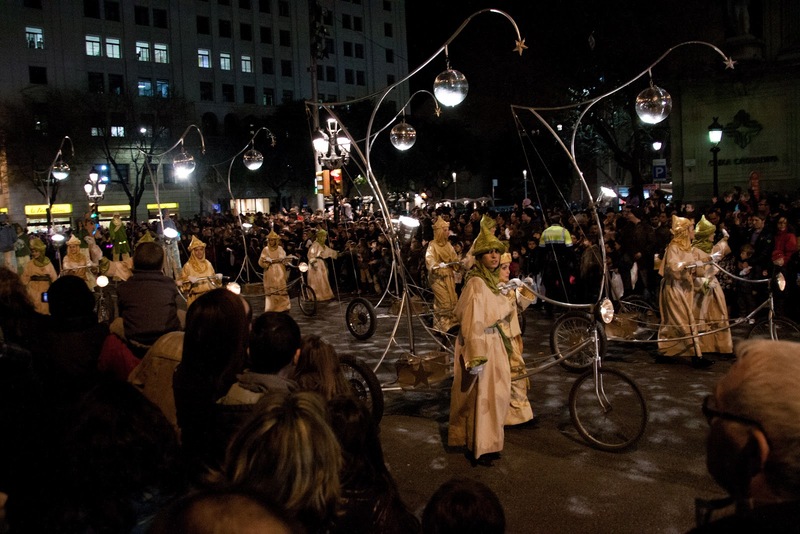 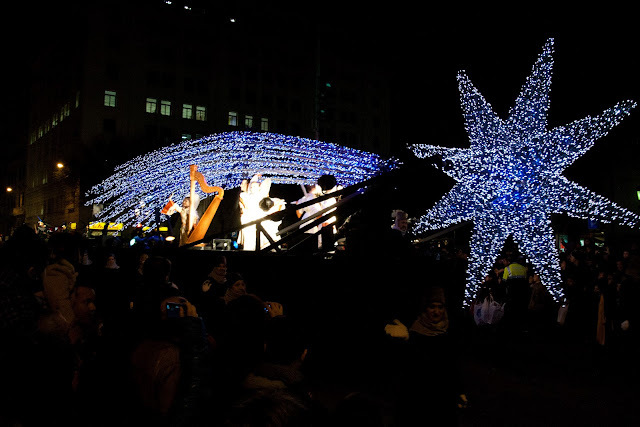 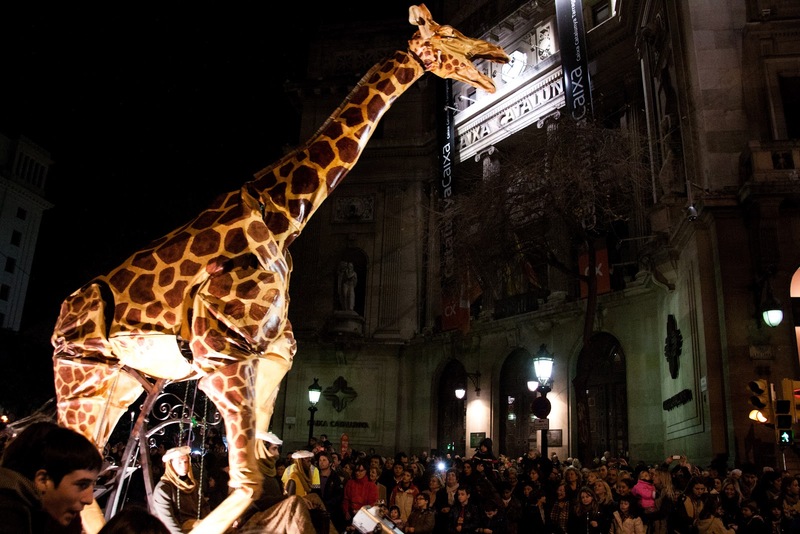 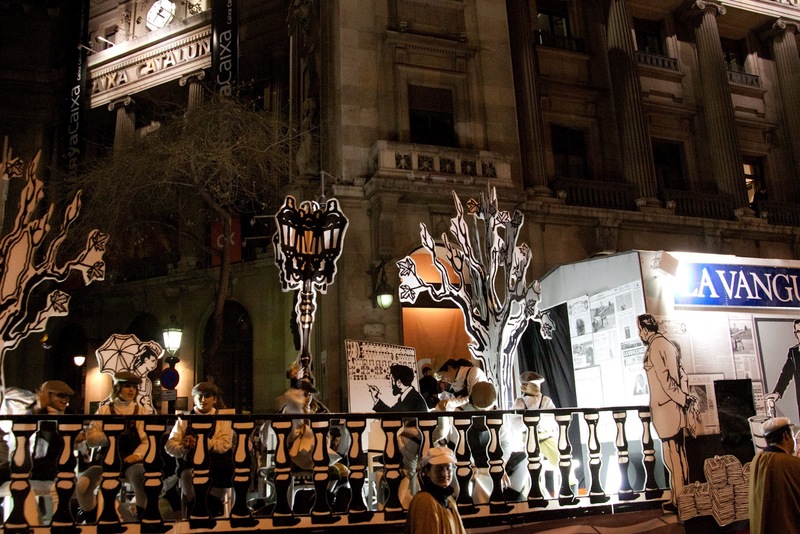 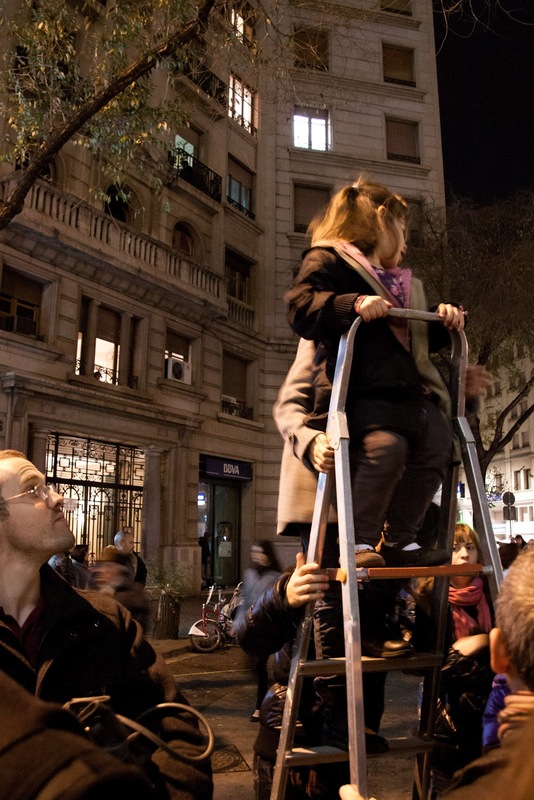 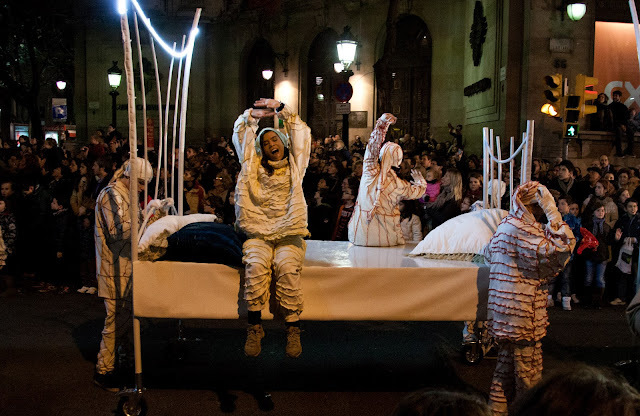 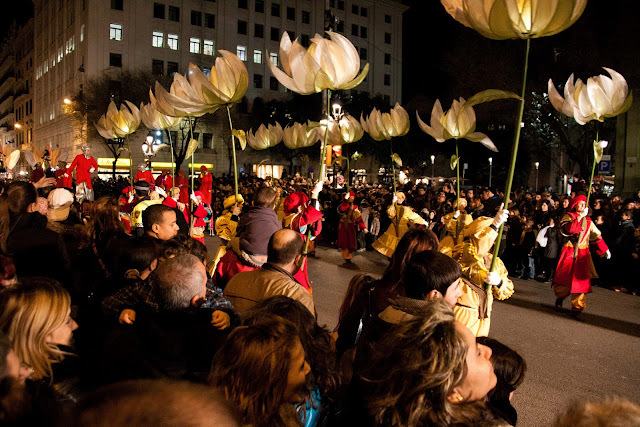 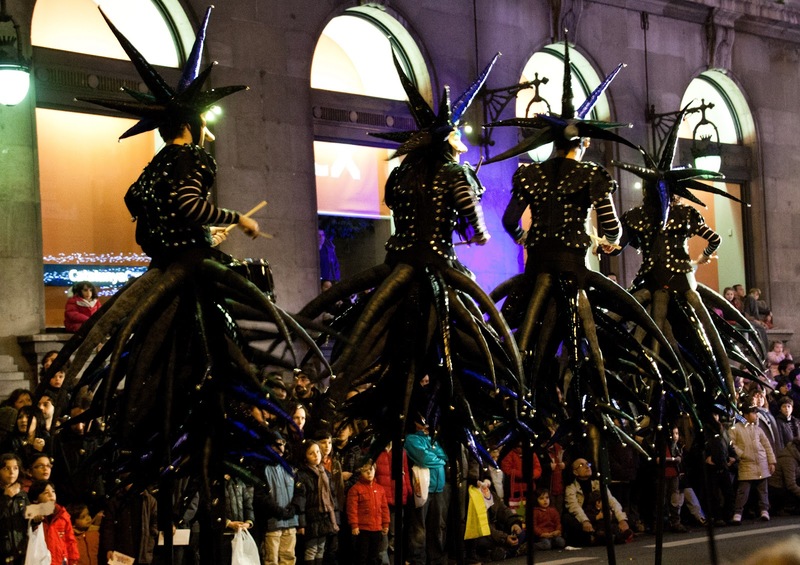 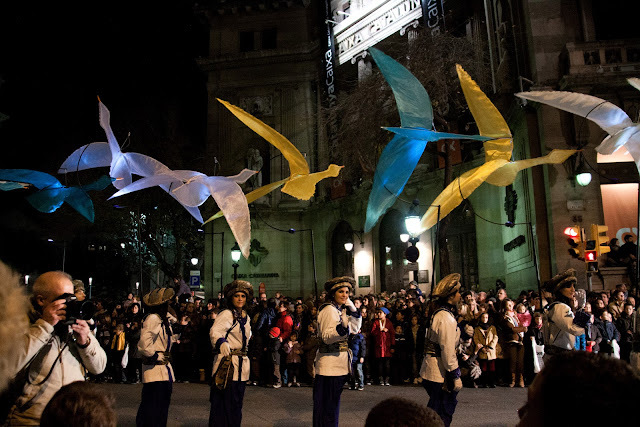 Three Kings' Day is a huge holiday in Spain- bigger than Christmas itself. This display was set up in a main square. or climbed up ladders to get a better view! 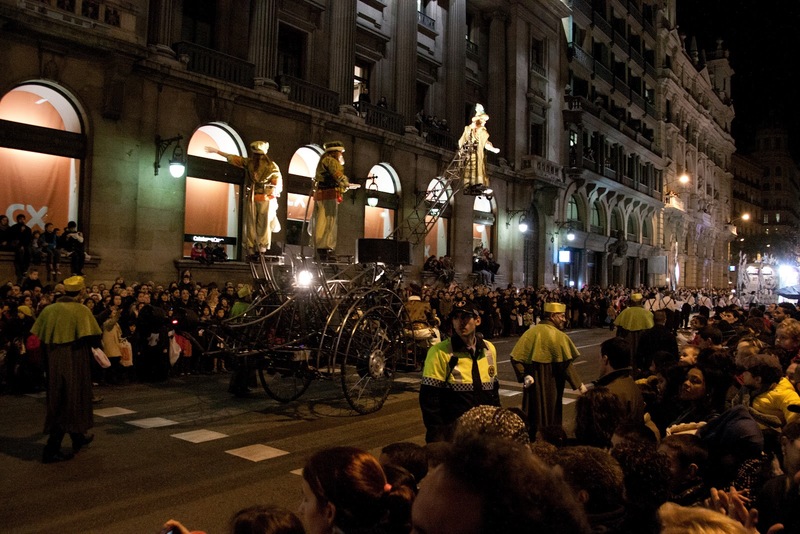 Police (or military) calvary led the parade, clearing the road. 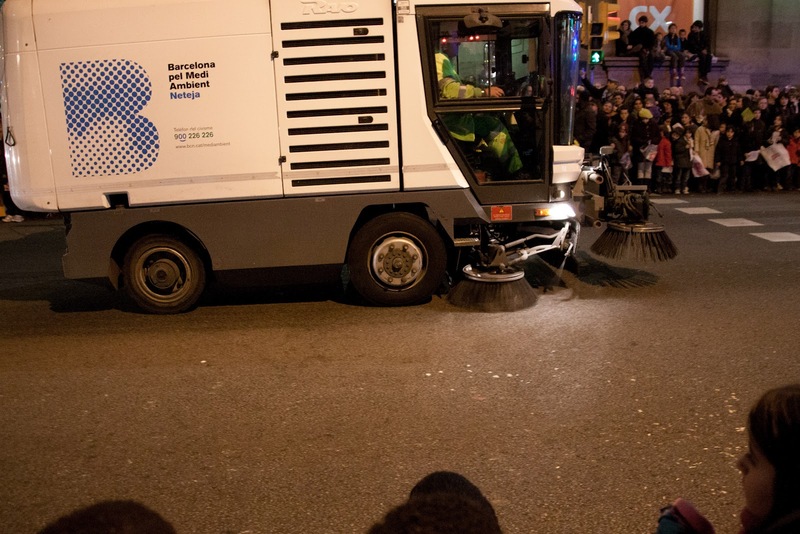 Then, the street sweepers came... can you think of a better time?? An elaborate display from a newspaper. 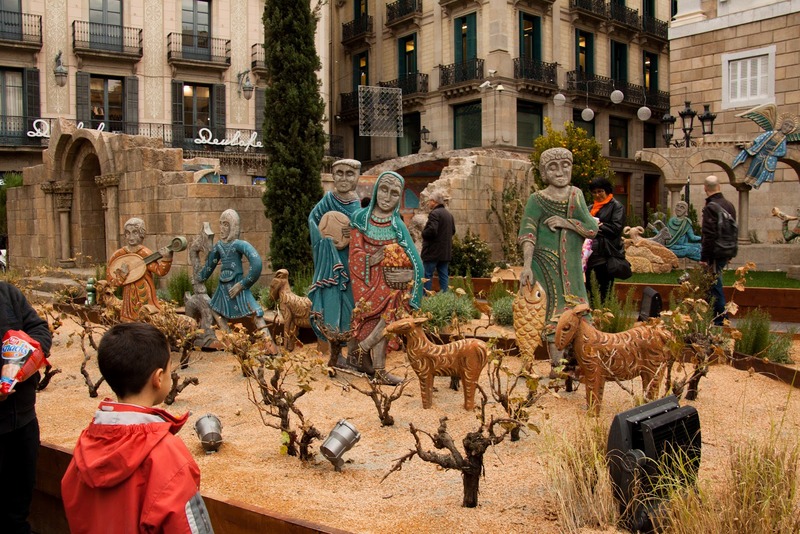 Each of the three kings had his own retinue, with singers, dancers, and performers. 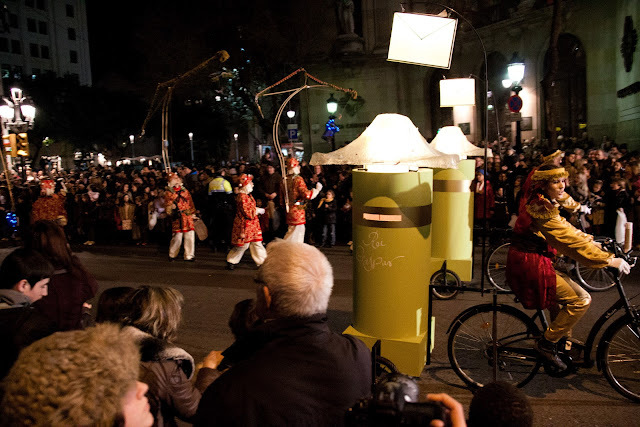 Each king also had his own set of postal service workers towing post boxes. This postal float sang/read letters from children. 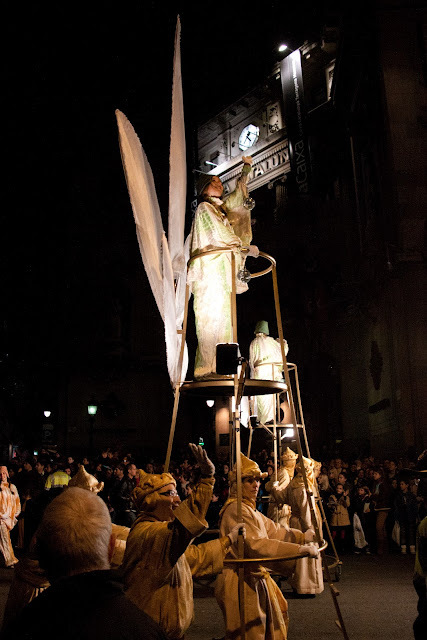 Children were advised to go to bed, so that they would wake to their Epiphany Day gifts. 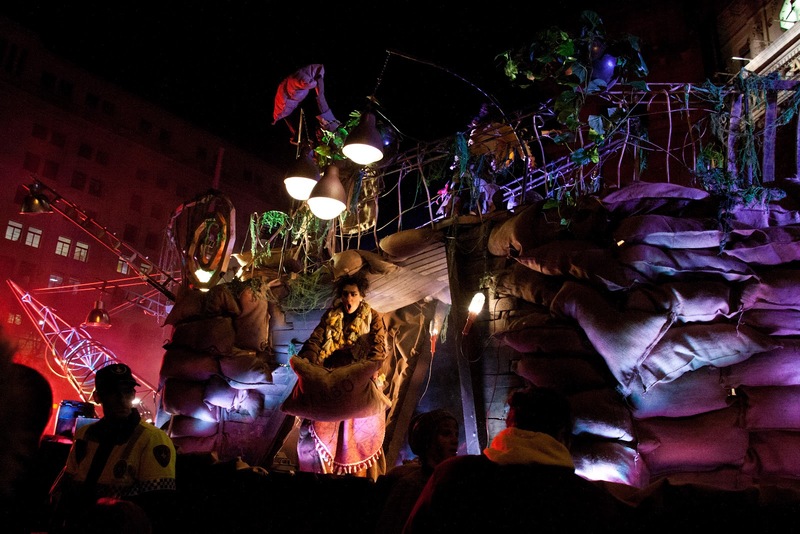 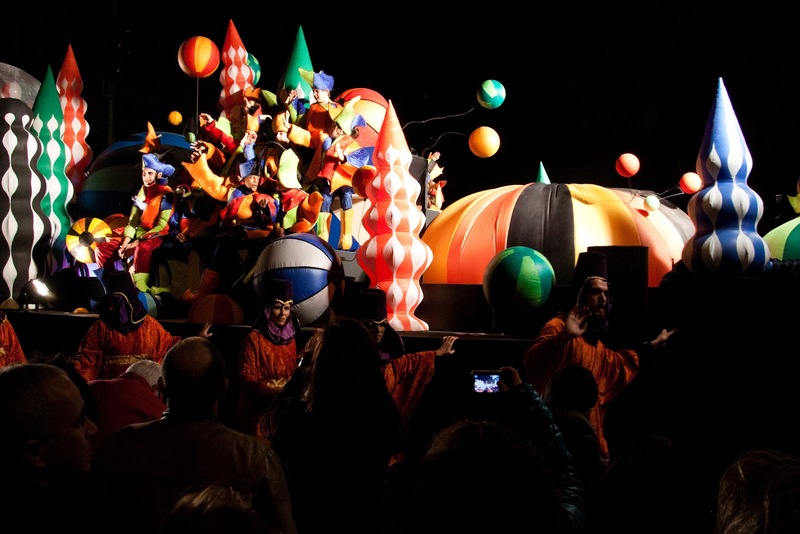 The final float was a loud, catchy rock song proclaiming the threat of coal- or carbó in Catalan- for any bad children. It was a fun parade, and a novel experience for our trip!